Jewish survivors testified that the Serbian Chetniks (Nazi collaborators in World War II), particularly those under the command of Draza Mihailovic, ‘persecuted Jews mercilessly’ and slaughtered them ‘in a bestial way.’… Banjica survivors reported that the Belgrade Special Police and the Serbian State Guard were responsible for executions and that the victims included children. Whatever it took to gain Greater Serbia was what the Serbs willing to do, including the massacre of Jews. There were several fascist organizations installed in occupied Belgrade with the complete and total cooperation of the Serbs there. 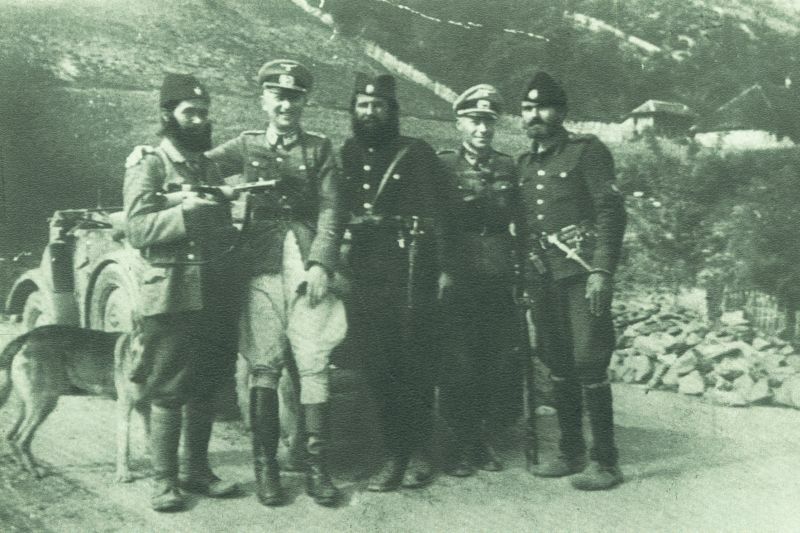 These included “the Nazi-backed regime of Gen. Milan Nedic, the Serbian fascist movement Zbor, and various Serbian state security forces, including the Serbian State Guard, the Serbian Volunteer Corps, the Belgrade Special Police, the Serbian Gestapo, as well as the Chetnik guerrilla bands of Kosta Pecanac and the Chetniks of Draza Mihailovic.” Nor was their range limited to Serbia. In pursuit of an expanded and ethnically pure “Greater Serbia,” these organizations operated in Slovenia, Croatia, Bosnia-Herzegovina, Montenegro, and Macedonia. In other words, some Serbs cooperated happily with the Germans as long as they did not interfere with their own processes of exterminating non-Serbs in the territories that they longed for. And so trusted were these Serbs that by the “eight month of German occupation, Minister of the Economy Mihailo Olcan boasted that Serbia ‘has been allowed what no other occupied country has been allowed [and that is] to establish law and order … by means of our own armed forces.’” By December 1, 1941, Nedic was in command of nearly eighteen thousand men, who were armed and equipped by the Germans on 13 December. Cohen and Riesman state that “Nazi anti-Semitism struck in Serbian society a responsible chord — the Chetnik belief in ethnic purity found at the core of Serbian ultranationalism well before the twentieth century.” They claim that about 15,000 Jews perished in Nedic’s Serbia, comprising nearly 94 percent of the Jewish population. With regard to the camp of Banjica, it was guarded jointly by the Gestapo and the Serbian State Guard, with this function later passing to the Serbian State Guard alone. Executions became daily events, and the lists of intended victims were drawn up in Cyrilic [an alphabetic writing system used by the Serbs]. Banjica survivors reported that the Belgrade Special Police and the Serbian State Guard were responsible for executions and that the victims included children. In all, approximately 23,697 inmates passed through Banjica, of whom 3,849 were slain, predominantly by the Germans but also by members of the Serbian State Guard. As for the killing of non-Jews, the Serbs were particularly keen to slaughter Bosnian Muslims [Bosniaks] and Croats who were not part of the Ustashi. Historian Walter R. Roberts notes that within the Herzegovina territory, the Chetniks took terrible vengeance for the atrocities of the Croatian Ustashi. They killed indiscriminately, not caring whether or not the Muslims [Bosniaks] and the Croats had had anything to do with the Pavelic regime. Fearful of their attacks, some Muslims joined the Ustashi of Ante Pavelic in Croatia and some joined the [anti-Nazi] Communist Partisan movement led by Tito, the man who was later to become Yugoslavia’s premier, while others tried to negotiate with the Germans. However, the Muslims [Bosniaks] soon became opposed to the Pavelic regime. Bosnian Muslim leaders from Sarajevo, Tuzla, Banja Luka, Bijeljina, Mostar, and Prijedor issued resolutions condemning the actions of the Ustashi and the Chetniks, calling for punishment of their crimes and the protection of innocents. Their resolutions urged religious tolerance and assistance to the victims. With regard to the Communist movement that would eventually win the war in Yugoslavia, Serb participation was disproportionately high in the very beginning but, as its ranks swelled with Croats and Muslims [Bosniaks], their share of involvement dropped to roughly ten percent. “By the end of 1943, Croatia proper — which contained about 24 percent of the Yugoslav population — had provided more Partisans [anti-Nazi resistance fighters] than Serbia, Montenegro, Slovenia, and Macedonia, which, combined, made up 59 percent of Yugoslavia’s population. Overall, from 1941 to 1945, the Partisans of Croatia were 61 percent Croat and 28 percent Serb, the rest comprising Slovenes, Muslims [Bosniaks], Montenegrins, Italians, Hungarians, Czechs, Jews, and Voldsdeutsche.” There was little or no cooperation between the Partisans and the Chetniks. In Stipe Sikavica’s words, Mihailovic saw the Communists as his real arch enemy. He viewed the liberation movement as nothing but an insidious usurper aimed at taking power. Blaming the Croats and the Muslims [Bosniaks] for the war, he hunted them down at every opportunity, while advancing his own plan to establish a “Greater Serbia” throughout much of Yugoslavia. As Jasminka Udoviki and James Ridgeway observed, even the Allies were to conclude that Mihailovic and his Chetniks were pursuing their own plan for dominance that merited cooperation with the Nazis at the expense of the Partisan movement rather than a heroic struggle. In the final analysis, Cohen and Riesman say that “the Chetniks variously collaborated with the Partisans against the Nazis, the Nazis against the Partisans, the Italians against the Ustashi, and the Ustashi against the Partisans. 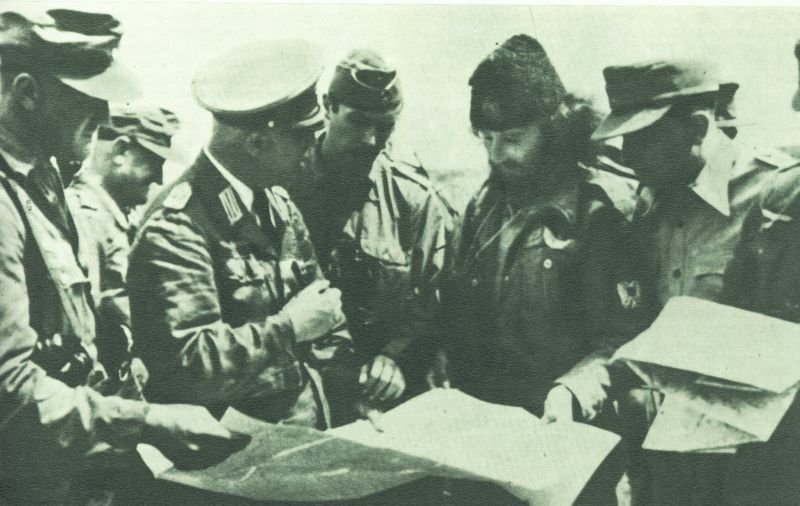 As late as February, 1943, Mihailovic was so indiscreet as to state to a British colonel that the Chetniks’ principle enemies were, in order, Tito, the Ustashi, the Muslims [Bosniaks], the Croats, and the last the Germans and Italians.” Hence, whatever it took to gain Greater Serbia was what the Serbs willing to do, including the massacre of Jews. For those who are already familiar with the pattern of Serbian action against non-Serbs in Yugoslavia between 1991 and 1995, there are several things that leap out for attention. The first is the ruthless use of administrative and guerrilla measures to make the ethnic Albanians want to leave their country. The second is that the Serbs were well aware that the world was watching but calculated that they could get away with what the Germans and the Russians had already done before the court of world opinion so long as they presented it as a “tribal” or “ethnic” conflict. The third is that they still recognized that the secret and supposedly detached involvement of the Chetniks would be the best means of attack. These are all things that Serbia was to repeat during the war of the present era when the victims were the Muslims [Bosniaks].